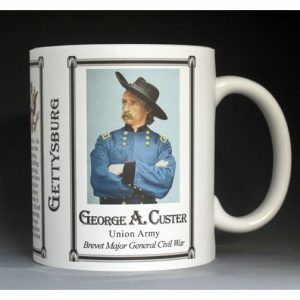 The Battle of Gettysburg was fought from July 1–3, 1863. The battle involved the largest number of casualties of the entire war. It was Robert E Lee’s second and last invasion of the North. 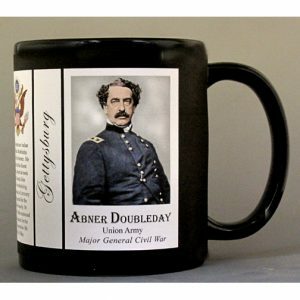 The Confederate Army retreated back to Virginia on July 4th which was the same day Vicksburg surrendered to Grant. These two events are widely accepted as the turning point of the War Between the States. 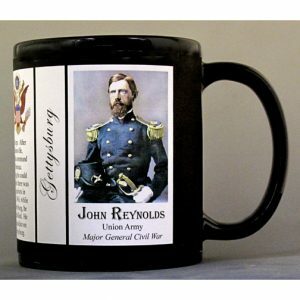 This Richard Ewell mug is part of our collection of Civil War biographical mugs. 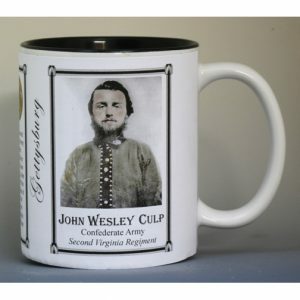 An image of Richard Ewell and a short biography are features of this history mug. 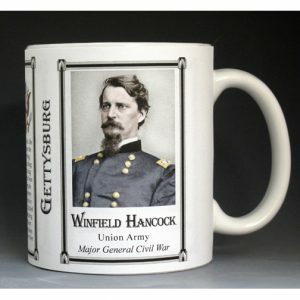 This Winfield Scott Hancock mug is part of our collection of Civil War biographical mugs. 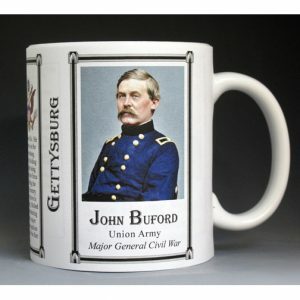 An image of Winfield Scott Hancock and a short biography are features of this history mug. 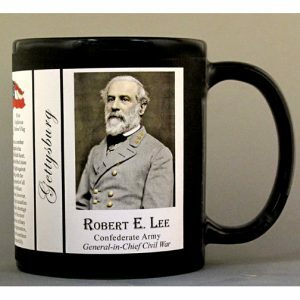 This Robert E. Lee mug is part of our collection of Civil War biographical mugs. 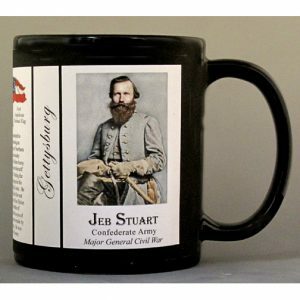 An image of Robert E. Lee and a short biography are features of this history mug. 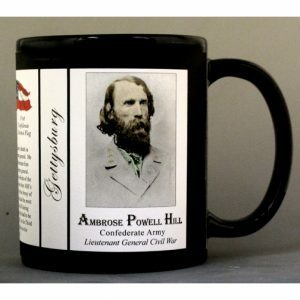 This James Longstreet mug is part of our collection of Civil War biographical mugs. 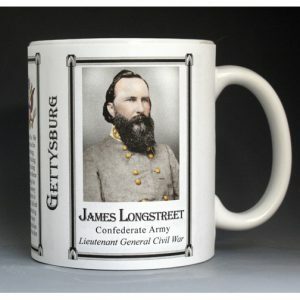 An image of James Longstreet and a short biography are features of this history mug. 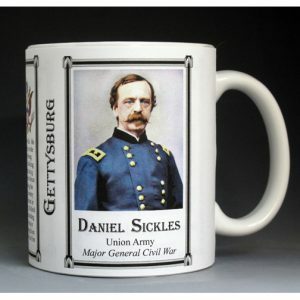 This Daniel Sickles mug is part of our collection of Civil War biographical mugs. 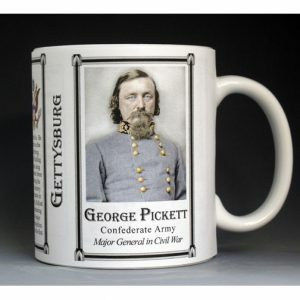 An image of Daniel Sickles and a short biography are features of this history mug. 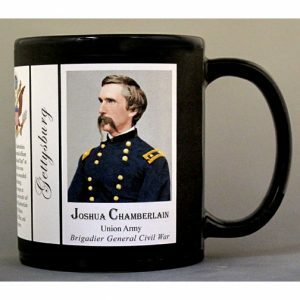 This George J. Stannard mug is part of our collection of Civil War biographical mugs. 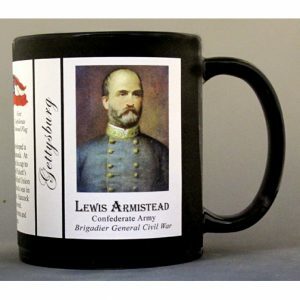 An image of George J. Stannard and a short biography are features of this history mug. 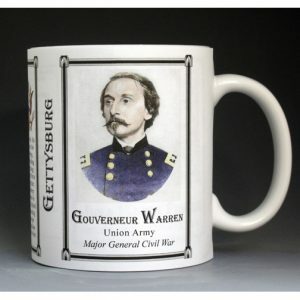 This Gouverneur Warren mug is part of our collection of Civil War biographical mugs. An image of Gouverneur Warren and a short biography are features of this history mug.